Season 2019: from 8 March to 29 November. One of the main objectives of RomeConcerts is to perform Classical music and Opera in Rome, in the full Heart of the City, making it easier for tourists who are in the Eternal City to participate. Classical music concerts in Rome enjoy many important places. The first is “Parco della musica”, which houses the National Academy of Santa Cecilia, one of the oldest musical institutions in the world, dating back to the sixteenth century; then there are the Roman Philharmonic Academy, the University Institution of Concerts, and many others. But all these places are far from the center of Rome: which makes it difficult for tourists to attend classical music recitals and opera concerts; unless they decide to lose much of their precious time sitting in a taxi. RomeConcerts is the right choice for the high quality of its concerts and the place where they are held: in the heart of Rome, a few meters from Castel Sant'Angelo and the Basilica of San Pietro, very close to Piazza Navona and the Pantheon. 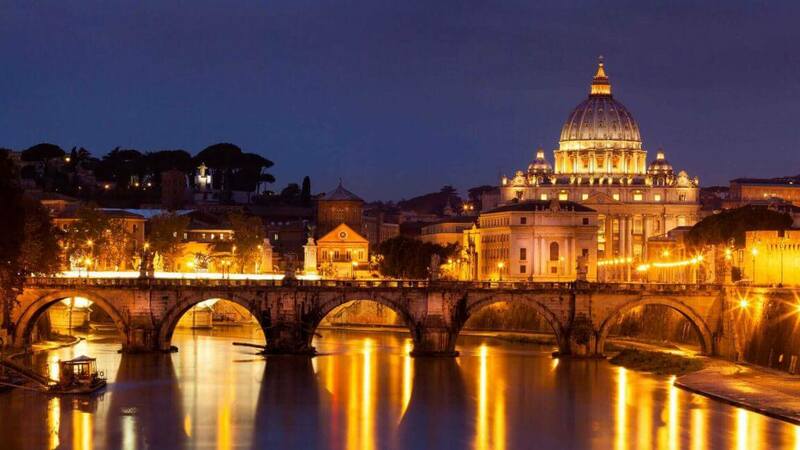 In short, RomeConcerts is the perfect stop on a beautiful day, after visiting the Basilica of San Pietro, or the Vatican Museums, Castel Sant'Angelo, or the Cloister of Bramante. Tuesdays and Fridays, from 8 March to 29 November 2019, at 7:30 PM (at 8:00 PM from 21 June to 20 September). Christmas concerts from 22 December to 2 January. A few meters from Sant'Angelo Castel and the St. Peter's Basilica. The doors open half an hour before the start of the concert. The concert lasts about 75 minutes and is without interval. Aperitivo with the artists in the 30 minutes following the end of the concert. The hall is fully accessible for wheelchairs. On the day of the concert, from 3:30 PM to 7:30 PM (from 4:00 PM to 8:00 PM from 21 June to 20 September). Lines 34, 40, 46, 62, 64, 190, 190F, 280, 916, 916F, 982, N5, N15 and N20 have stops near the hall. Click on the above “Buy Tickets” button, select the date and complete the purchase in complete safety. The online purchase is via the Brown Paper Tickets platform. Scroll down to see all the dates and different programs. The concert starts at 7:30 PM, is without interval and lasts about 75 minutes. The Aperitivo with the artists is right after. Musical programs are indicative and, on some occasions, may be subject to some modification.